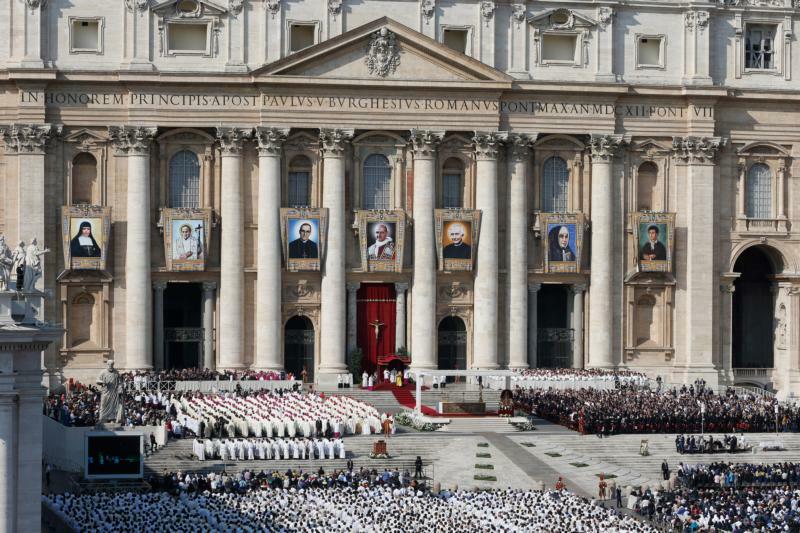 VATICAN CITY (CNS) — Pope Francis advanced the sainthood causes of three women and recognized the martyrdom of 14 religious sisters who were killed during the Spanish Civil War. — Recognized the martyrdom of Sister Isabella Lacaba Andia, who was known as Mother Mary del Carmen — the mother superior of a community of Franciscan Conceptionist nuns — and 13 of her companions. They were murdered “in hatred of the faith” in Spain in 1936. The move clears the way for their beatification. — Recognized the heroic virtues of Mother Soledad Sanjurjo Santos of the Servants of Mary. Born in Arecibo, Puerto Rico, in 1892, she was known as the “Pearl of the Antilles” as she served as provincial superior of the Antilles and extended the congregation’s work in caring for the sick throughout Cuba, the Dominican Republic and Puerto Rico. She died in 1973. — Recognized the heroic virtues of Polish Sister Anna Kaworek, who lived 1872-1936, and co-founded the Congregation of the Sisters of St. Michael the Archangel. NEXT: New migrant caravan has left Honduras; why do they flee?